A pretty-looking youth film from Wong Kar-Wai’s Jet Tone further proves the fact that “gay youths in Taiwan” is practically its own genre. Director Cheng Hsiao Tse’s debut film has a cast of good-looking sets and good-looking people - the girls act cute while the men wander around with the word “angst” branded on their forehead. But what it doesn’t do is add anything to the genre. It’s nice during its brief running time, but if you’ve seen Blue Gate Crossing, Eternal Summer, and Spider Lillies, chances are you’ve seen this movie before. Kozo also reviewed the movie here. A review I read of this omnibus film called it the “bad-boy sibling of Paris Je’Taime”, and that label is mostly right. The two films by French directors can be alienating with their weirdness and an obvious Western-centric take on Japan’s capital city. However, what Gondry is able to do with his film that Corax can’t is actually get his audience involved with the story. Of course, the Corax film, about a monster who crawls up from his underground hideout and terrorizes Tokyo with his anti-social behavior, is almost intentionally hard to get involved in, but what’s there really isn’t all that interesting. On the other hand, with its brilliant camerawork and thoroughly involving story, Bong Joon-ho’s segment may have less of an impact than the other two films, but it’s easily the best short film I’ve seen all year. This 2008 PIA Film Festival runner-up prize and the Avex Entertainment Award winner is one of those indie-style slow-burn drama with an interesting central character. It features several nicely-directed scenes, but the rest of the story feels too vague and too ambiguous to really make an impact. Nevertheless, protagonist Makoto’s sarcastic and indifferent nature makes her an interesting character to follow, even though the film sometimes feel as direction-less as Makoto’s life. I would rank it as the weakest PIA film out of the seven I’ve seen so far, but even that is a major compliment to the general quality of films coming out of the film festival. 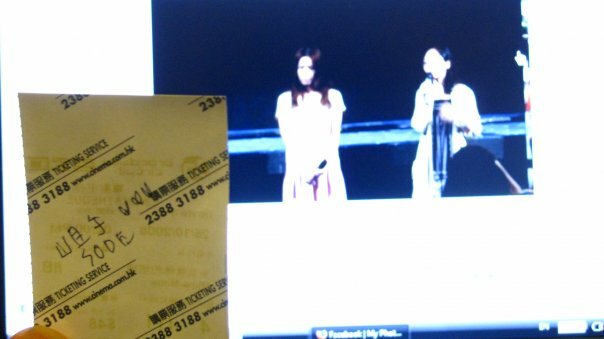 Sode also signed my ticket stub with three hearts. You gotta love a female film director who signs autographs like that.I know I do. 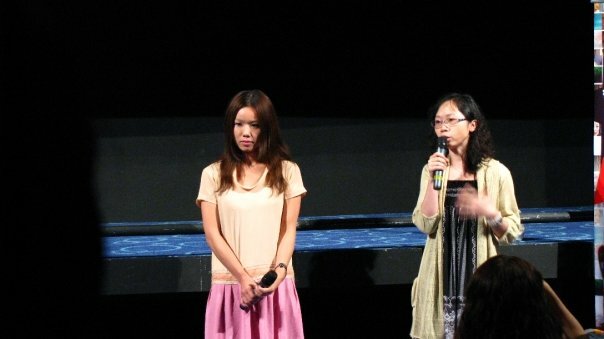 Renowned Hong Kong screenwriter Ivy Ho’s directorial debut has three interesting things going for it: 1) Karena Lam and Ekin’s fourth pairing, 2) The film is clearly divided into eight sections, and 3) The story is told backwards. Even though the structure seems more suited for a European film, Ho picks very local settings and very local characters for this tale of an ambigious office romance between an employee and her boss. There’s not much of a plot or narrative, but the mood it gives off and the fact that it stayed with me for days make this an easy pick for one of my favorite Hong Kong films of the year. Too bad it won’t come out until next year. The 1993 PIA Scholarship film, this is a very low-key look at an unrequited romance between two high school students before one of them moves to Hokkaido for good. It’s also very strange, because it was shot on 16mm (not even with widescreen in mind), and the sound was in mono, so it felt like a homemade 70s film. But it also helped emphasize its perosnal indie spirit. Nothing much happens in this movie, except for two people teasing each other before realizing that they actually love each other. The more interesting stuff happens when the side characters and their criss-crossing infatuations come together. This is one of those movies that works much better on repeat viewing, but you just have to get through that first viewing to fully enjoy it later on. Chihiro Ito, who’s been writing for Isao Yukisada since Crying Out For Love In the Center of the World (Yukisada, on the other hand, is a “script consultant” on this film), adapts the novel for this very slow animated film about teenagers who fight brutal aerial battles, smoke, drink, and do all the things that adults do. Mamoru Oshii supposedly keeps up the tedious pacing he has been known for over the years, but what he does is make some breathtaking aerial battle sequences (helped by the sound effects by Skywalker Sound). However, his handling of the story doesn’t match up to Ito’s script, which has a strange way of revealing plot points. Nevertheless, I surprisingly liked it, and it was a good way to wrap up the festival. Next is the Hong Kong Asian Independent Film Festival, which will have The Rebirth, Tokyo Gore Police, and the Matsugane Potshot Affair. Until then, we’ll be back to our normal programming.